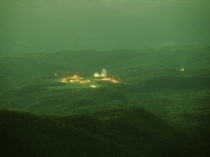 Trevor Paglen's is an artist whose work spans image-making, sculpture, investigative journalism, writing, engineering, and numerous other disciplines. Among his chief concerns are learning how to see the historical moment we live in and developing the means to imagine alternative futures. 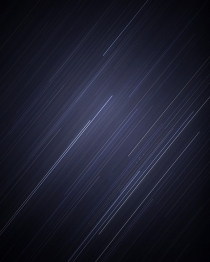 Paglen’s work has had one-person exhibitions at Vienna Secession, Eli & Edythe Broad Art Museum, Van Abbe Museum, Frankfurter Kunstverein, and Protocinema Istanbul, and participated in group exhibitions the Metropolitan Museum of Art, the San Francisco Museum of Modern Art, the Tate Modern, and numerous other venues. He has launched an artwork into distant orbit around Earth in collaboration with Creative Time and MIT, contributed research and cinematography to the Academy Award-winning film Citizenfour, and created a radioactive public sculpture for the exclusion zone in Fukushima, Japan. Paglen holds a B.A. from U.C. Berkeley, an MFA from the Art Institute of Chicago, and a Ph.D. in Geography from U.C. Berkeley.